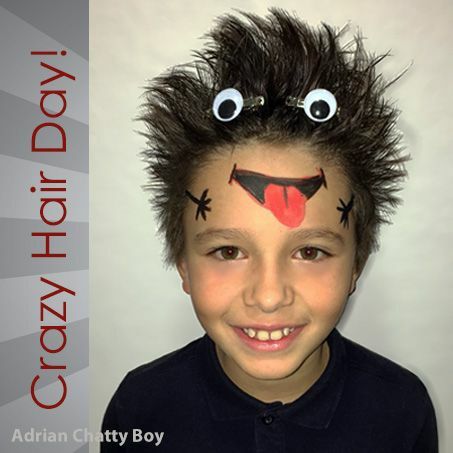 A Creative and fun inspiration for your little ones to feel cool at school for crazy hair days. 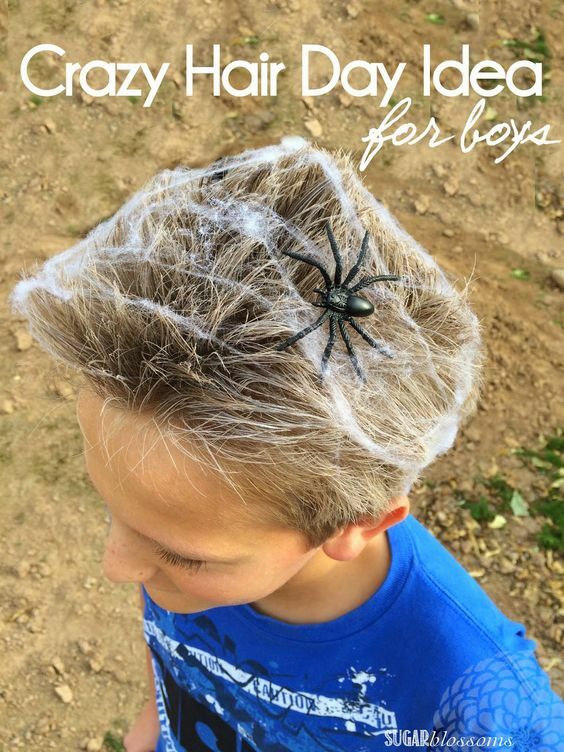 Easy hair day ideas for boys with short hair. 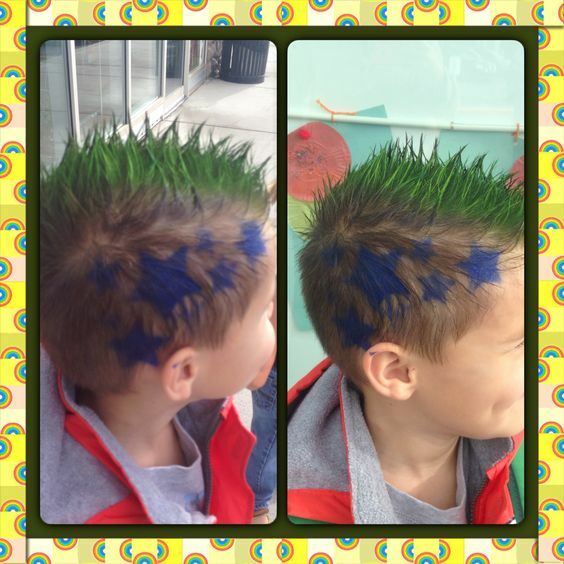 Crazy hair days are so much fun for kids to show their school spirit. 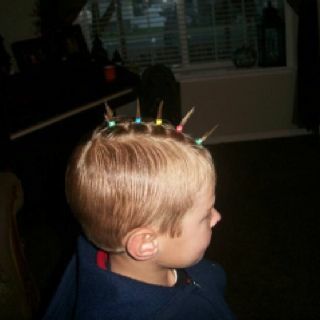 It allows them to show off all their creativity and personality with fun crazy hairstyles. 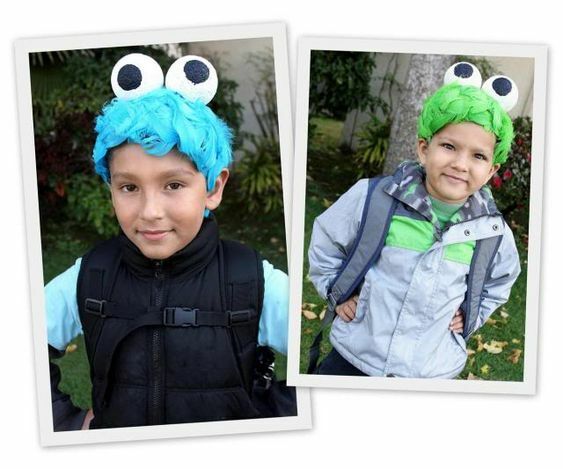 From wacky colors and designs to the incorporation of toys and their favorite characters. 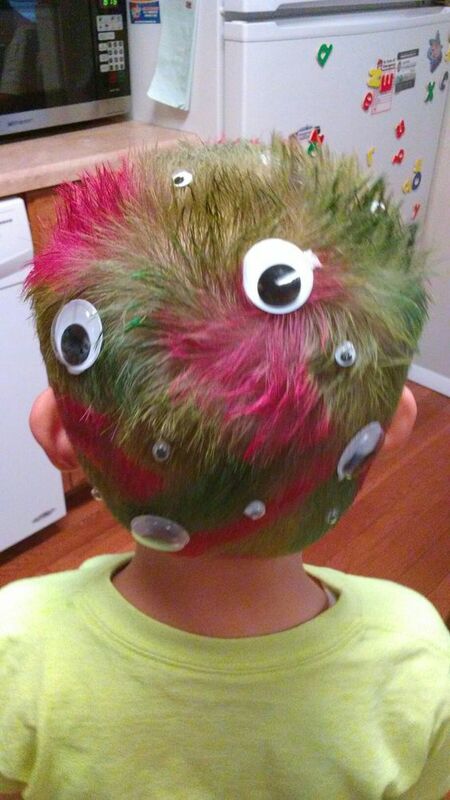 You just can't go wrong with great spray colors and googly eyes. 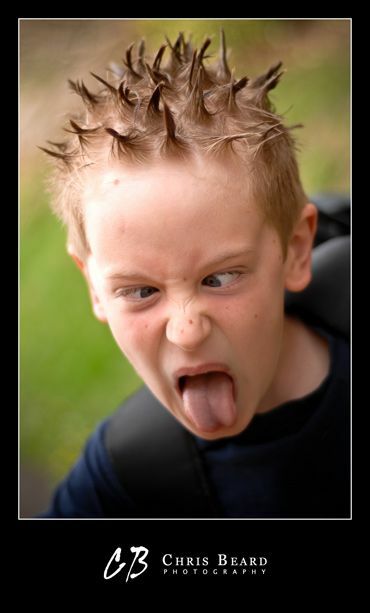 Here is some inspiration for boys with short hair. 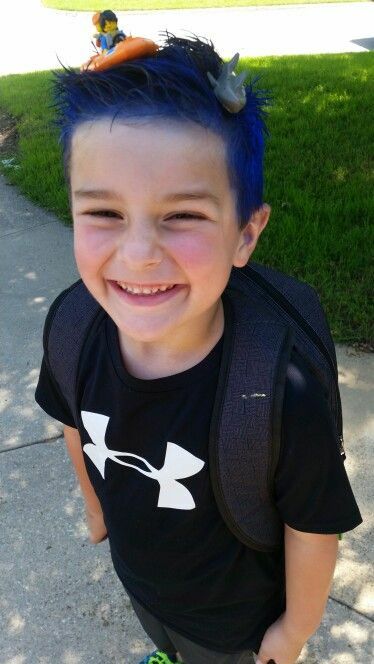 Crazy hair days always seem to sneak up on even the most organized parents. 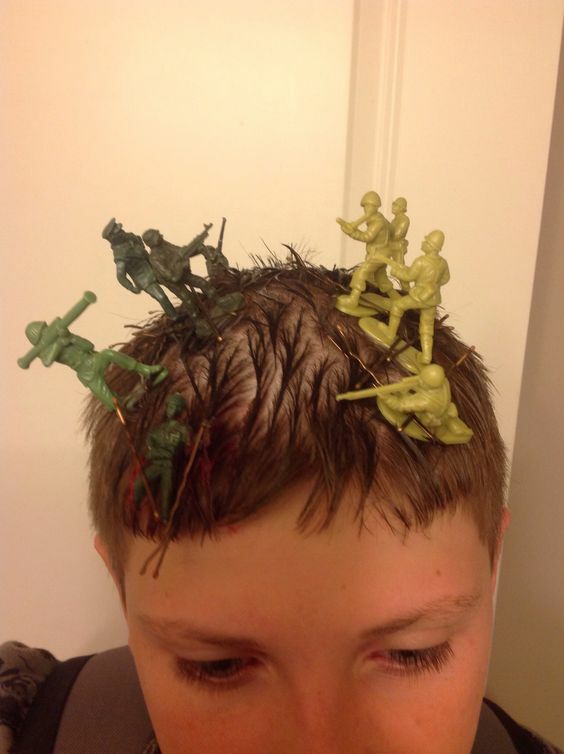 It's best to keep a handful of staples on hand for those times when you just don't have time to make it to the store. 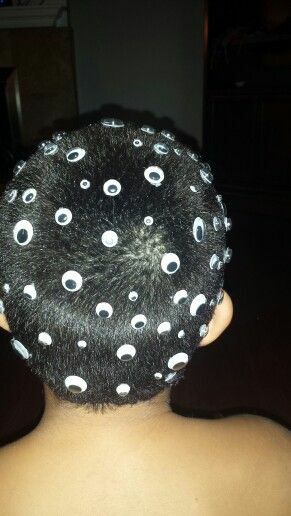 There's no end to the uses for googly eyes. 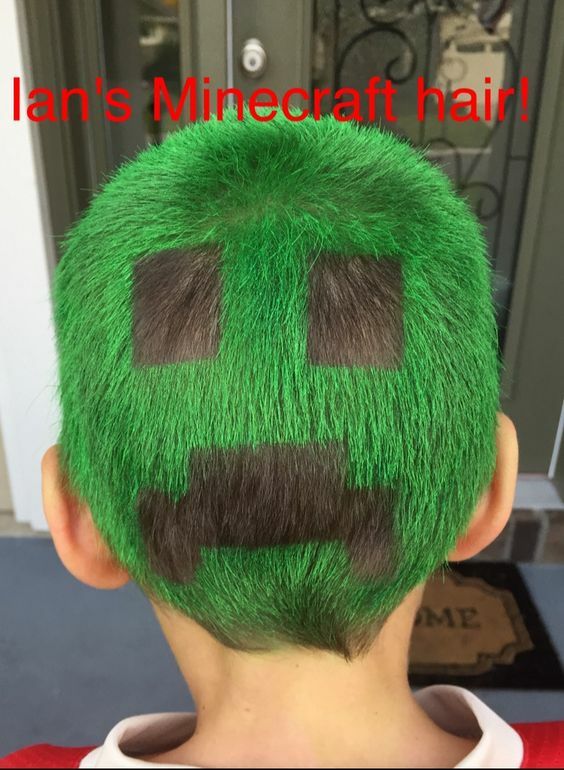 and you can never have too many. 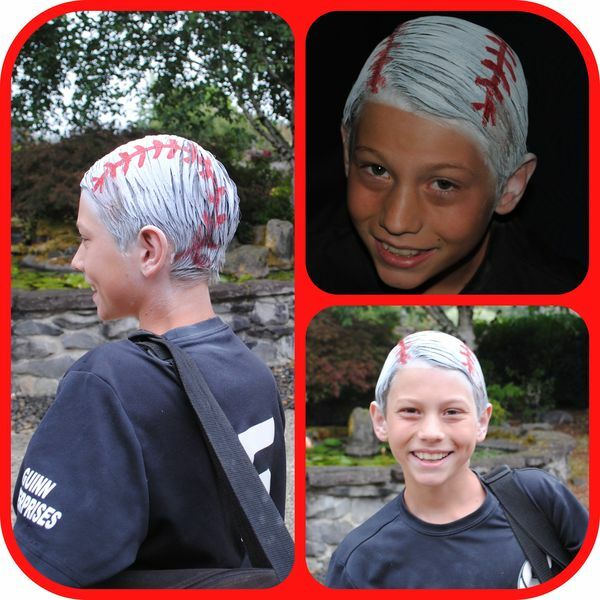 Buy them in a variety pack with multiple sizes inside. 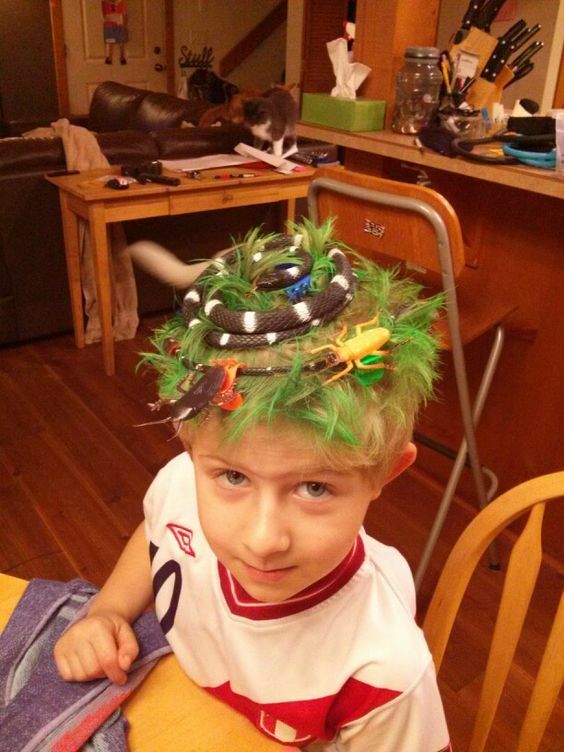 Busy parents don't always have a plan for crazy hair day when it comes up. 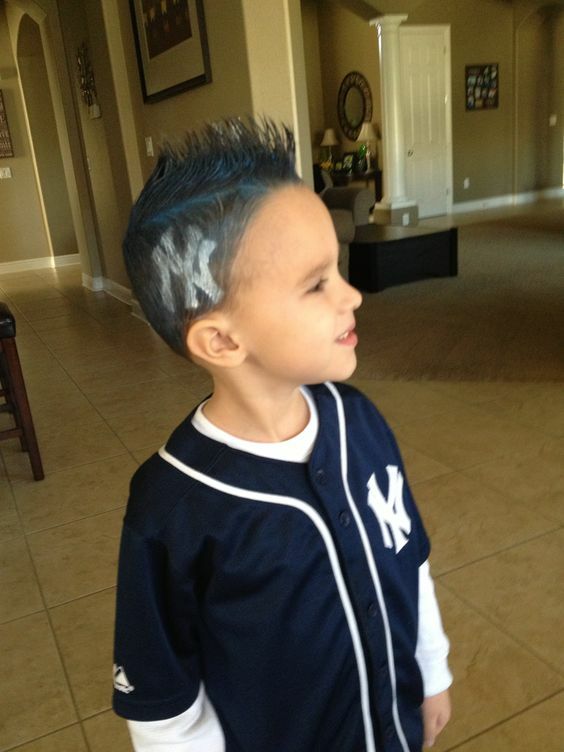 But sometimes your boys will want something so elaborate you have to plan ahead. 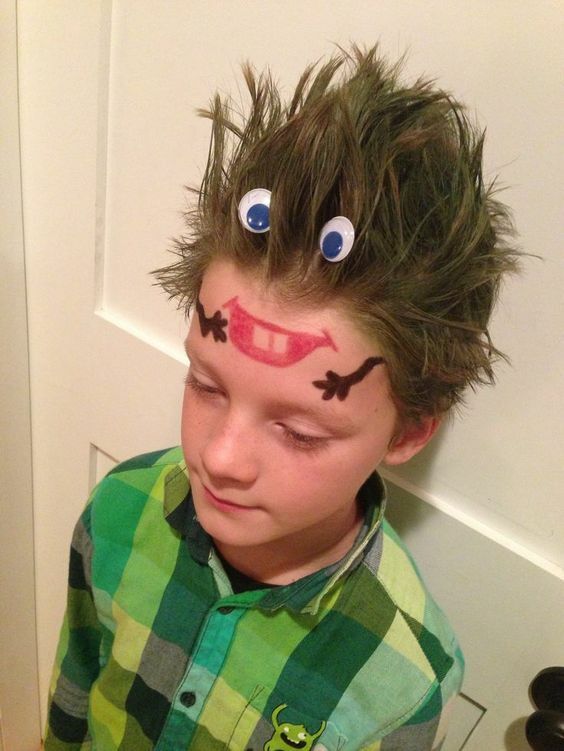 Here are some ideas to use if you plan ahead for that wacky hair day style. 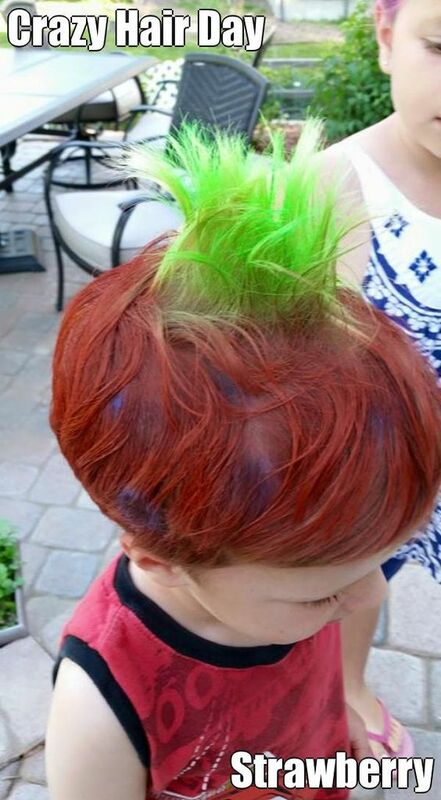 This boys wacky hair looks easy but only if you already have the toys to go along with it. 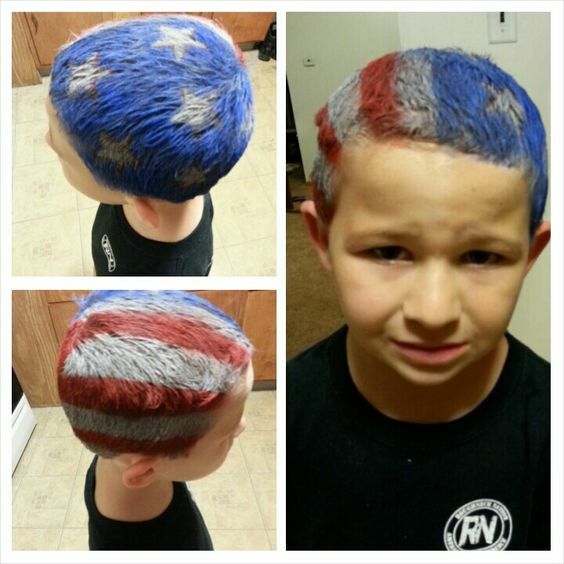 This is easy as gray and black spray paint with their favorite characters bobby-pinned in. 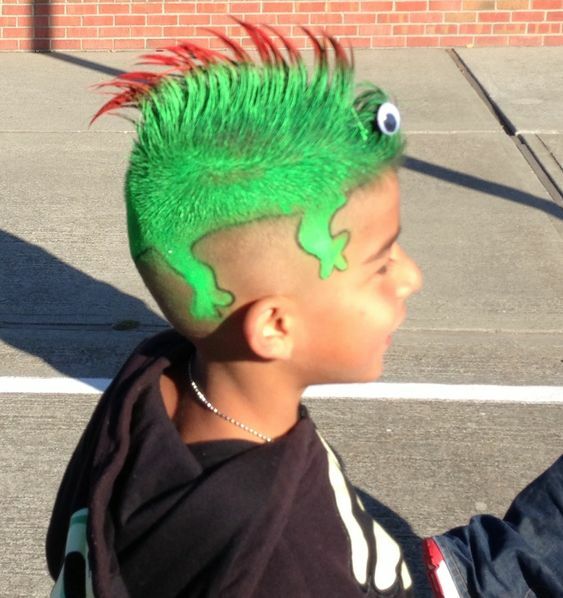 Surfs up for this crazy hairstyle. 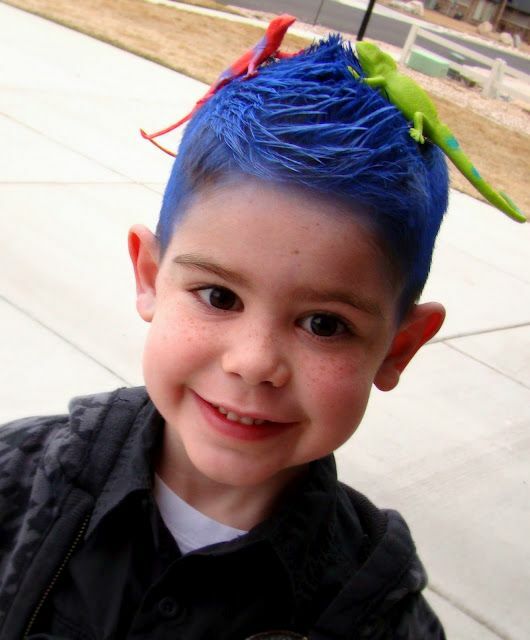 A spiked hairstyle on top with some blue hair paint brings this short hairstyle to school for some fun. 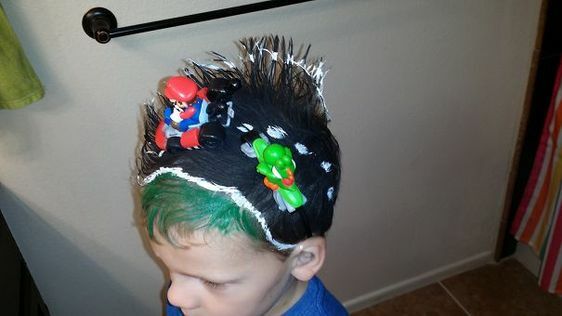 You can add some funky saying like wipe out, easy and complete the look with a toy on top. 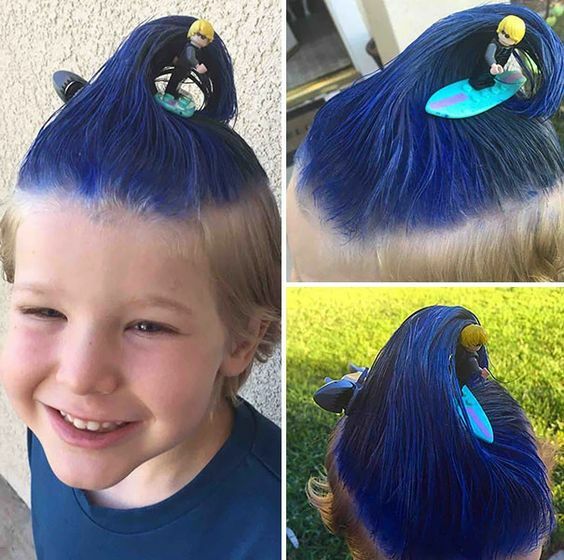 Instead of a wave you can do a whole deep sea theme. 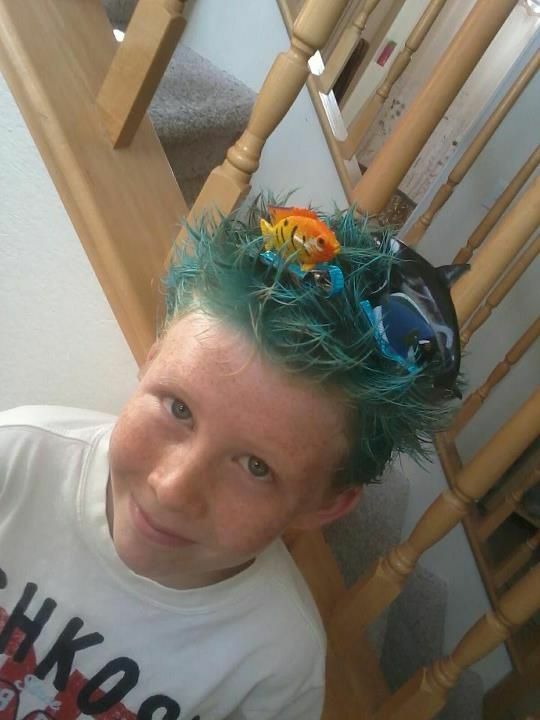 This allows for the blue sprayed hair to remain messy to hold all the little ocean critters. 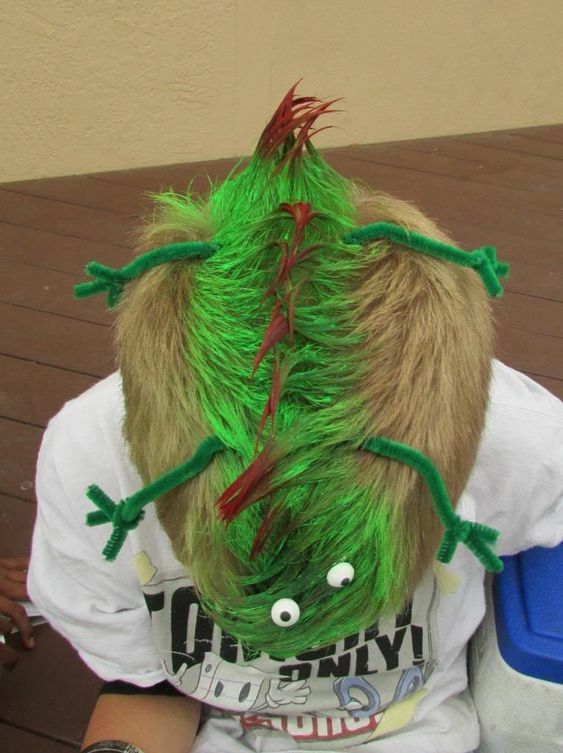 This creepy crawly hairstyle is wacky and easy for boys with short hair. 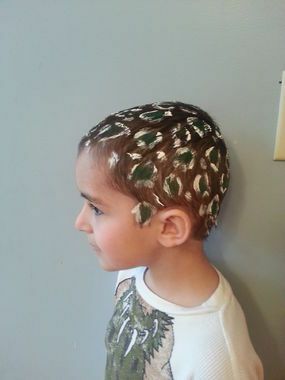 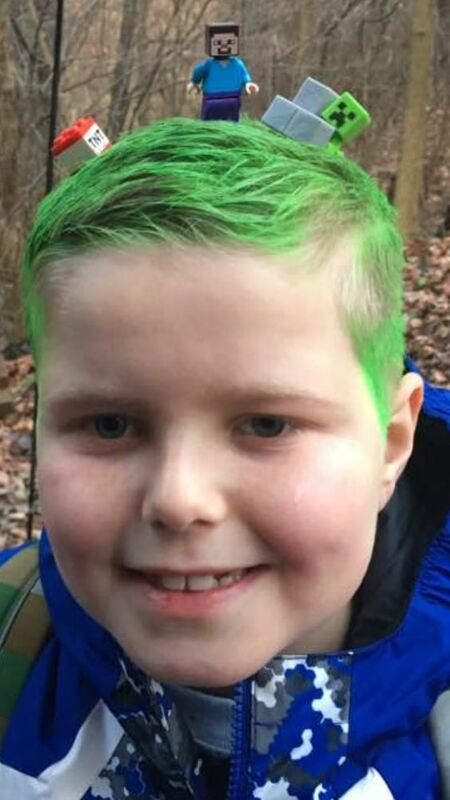 It's best to spray your boy's hair with green hair paint for the look of grass and scrapbooking glue dots will keep all the creepy crawlers on their head. 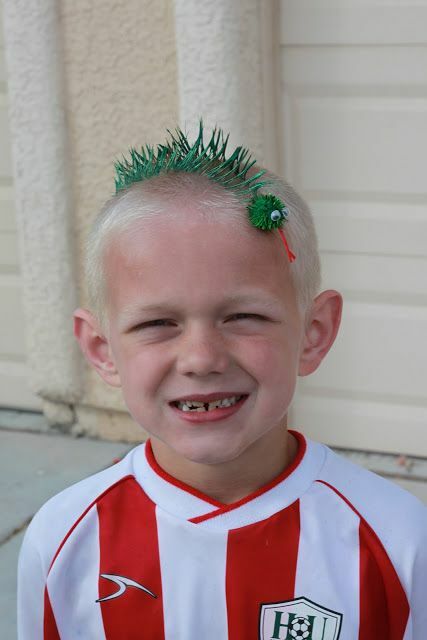 Don't worry scrapbooking glue is easy to come off when the day is over. 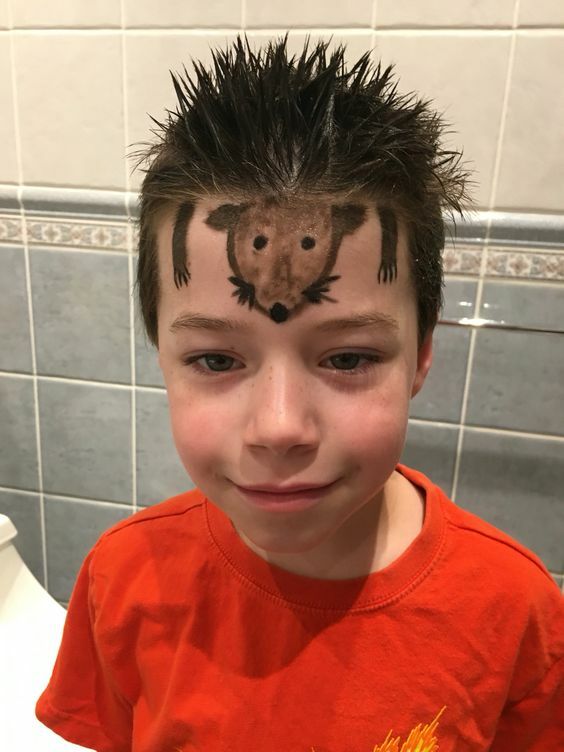 This is another great use of googly eyes that can be just stuck to the boys hair if the googly eyes have the paste already attached to them. 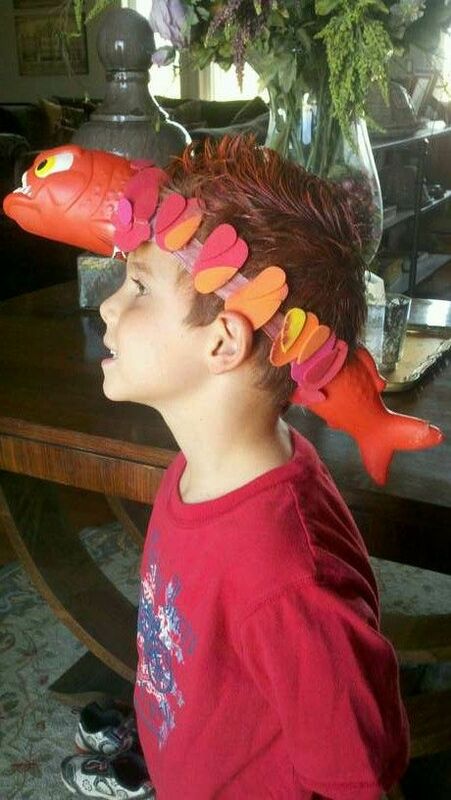 Cut off the head of his broken water sprayer and attached it to his head with one of the girl's stockings, and added a few scales with foam shapes in orange and red colors too. 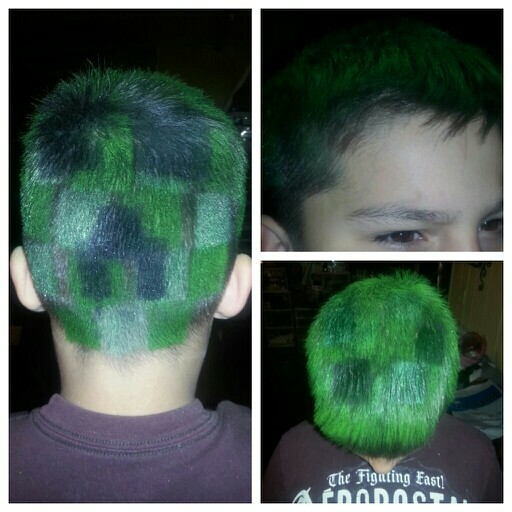 Show off your boys favorite game and your creative hand with this Minecraft block pattern painted on this short hair. 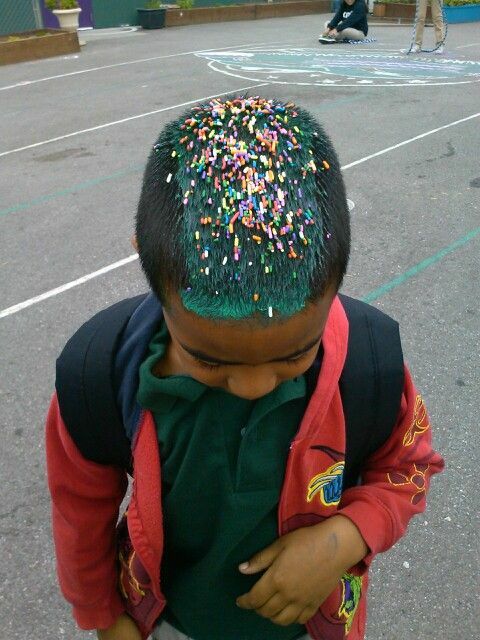 This will make him the hit of the classroom and win you a parent of the year award. 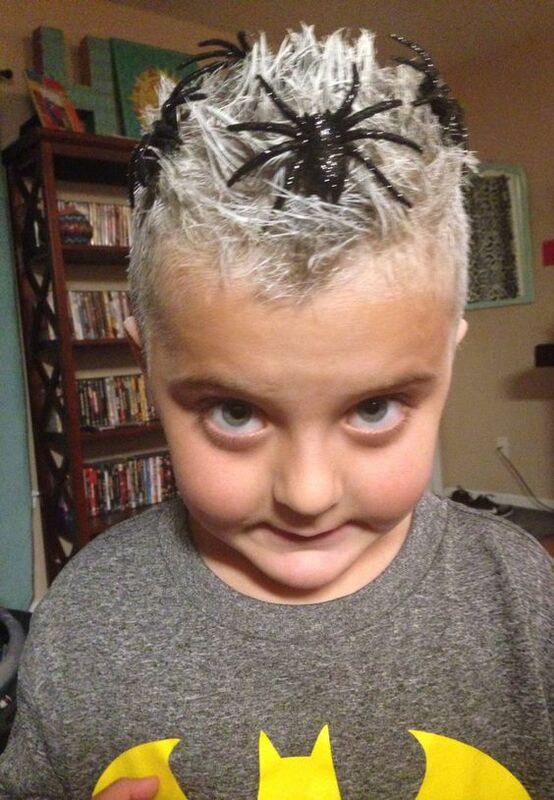 Spiderman, spiderman gets caught in the web in your boy's hair. 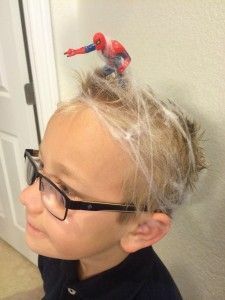 Its fun and easy and can be dome with stretched out cotton balls or web you have left over from Halloween. 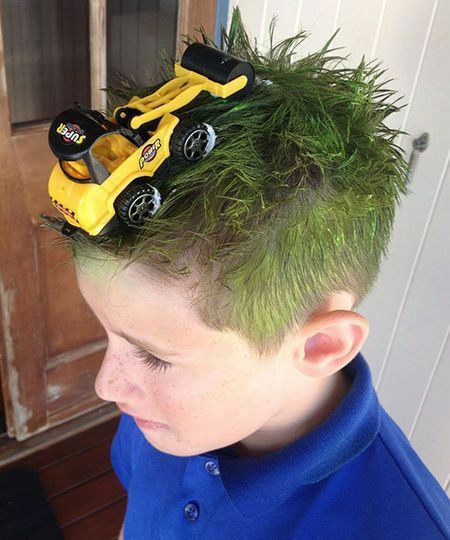 Bulldozer as a feature in a head of green. 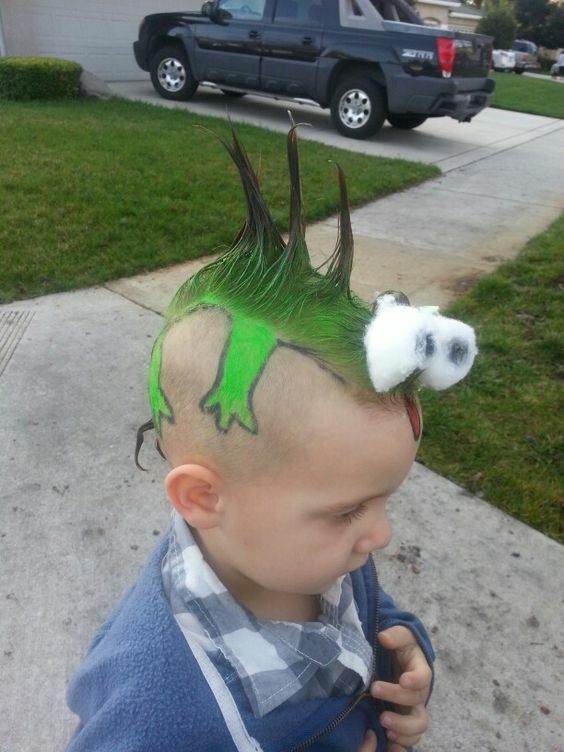 A fun and wacky way to incorporate some of his favorite things. 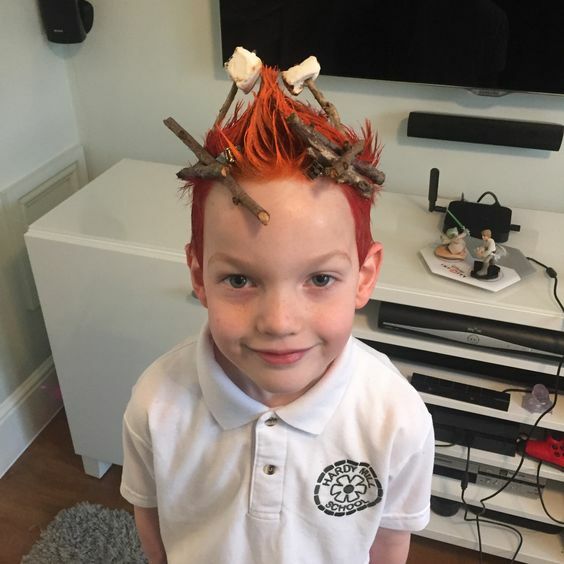 No one is perfect and sometimes you forget, or your boys don't tell you till that last minute that it is crazy hair day at school. 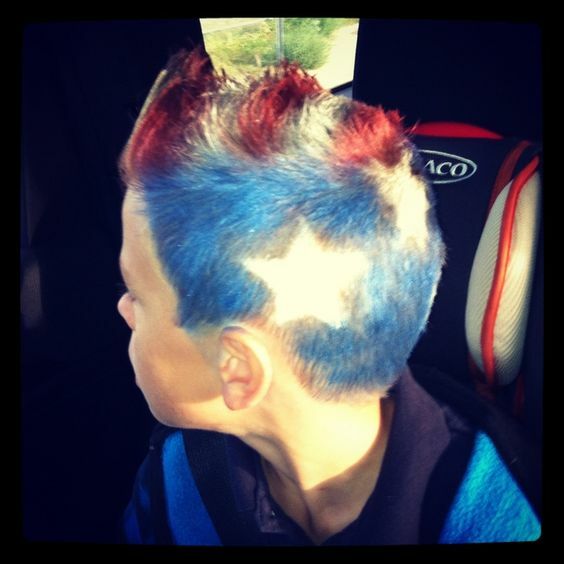 Here are some super quick and easy ideas that are wacky even last minute. 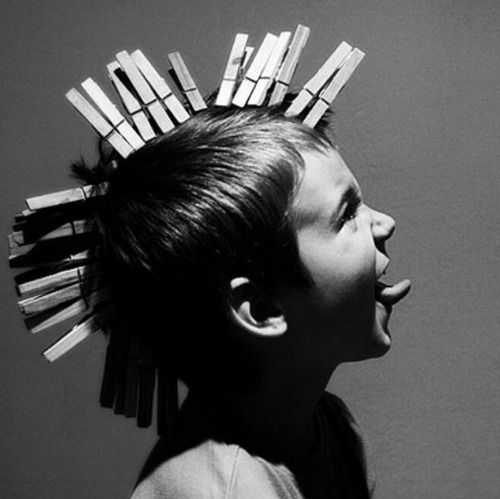 This super creative idea is perfect for last minute ideas. 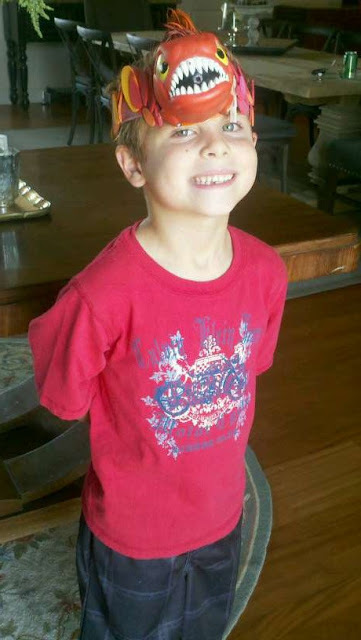 All these things are easy to find around the house like glasses and white papers with black eyes drawn on them. 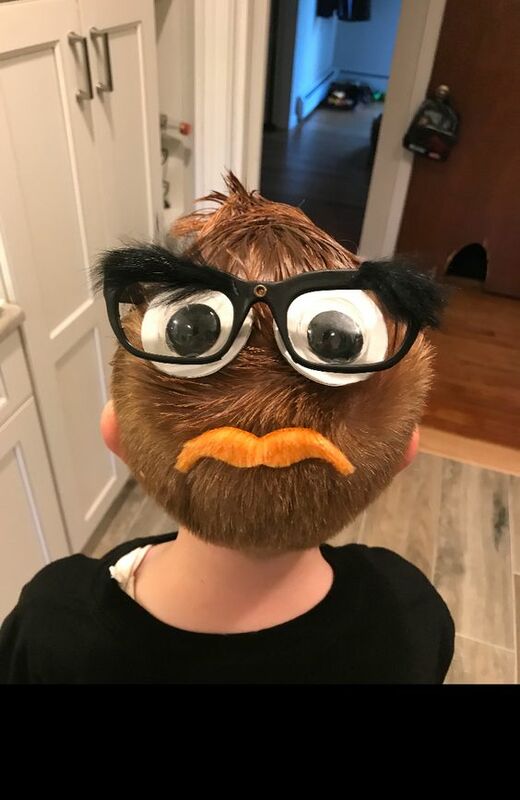 The mustache may be something you have to make, but still super fun. 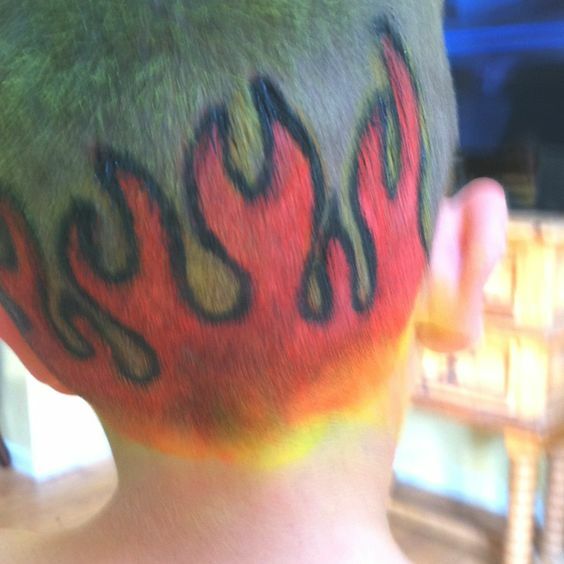 Easy and wacky hair color paint in a short Mohawk. 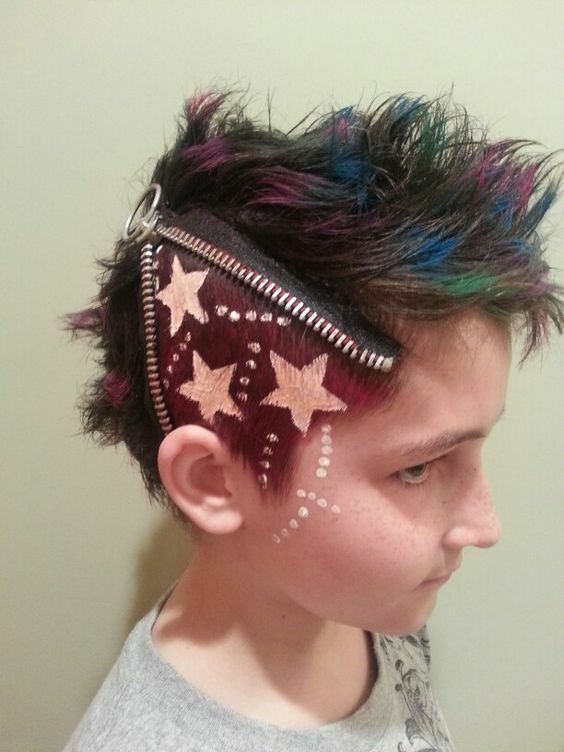 Taking an everyday hairstyles and making it funky with hair paint is what makes a last minute crazy hair day idea awesome. 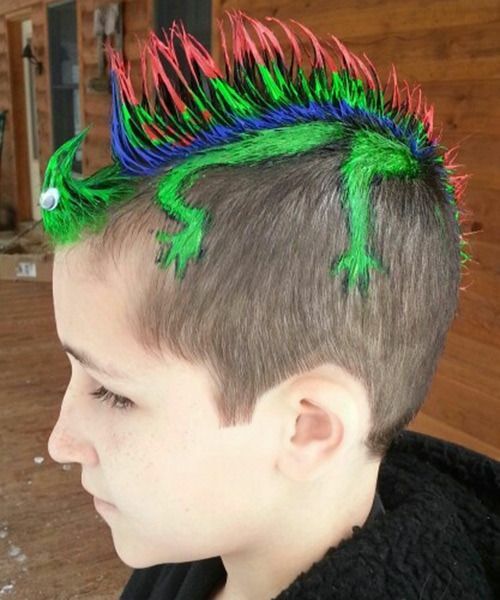 Less is more with this lizard mohawk. 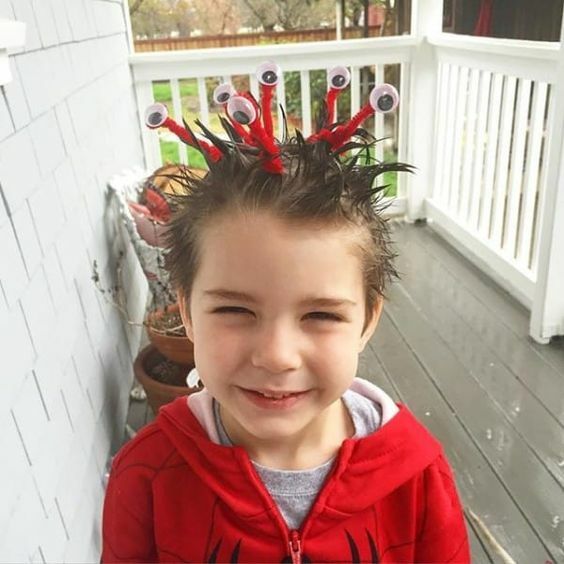 Googly eyes complete the look in the front so that it can keep its eye on you. 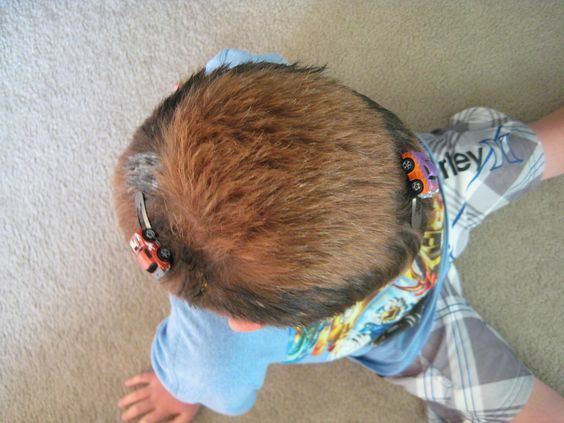 This is a quick and easy hairstyle that is also super creative for boys with short hair. 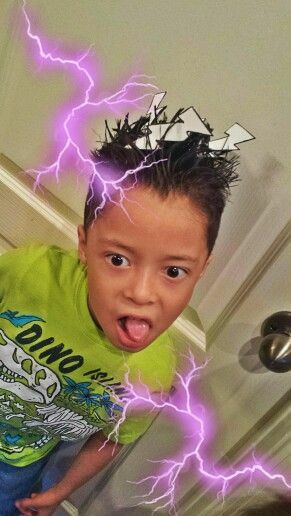 When life is moving so fast with kids its always important to take lots of pictures and crazy hair day is a great occasion to go picture crazy. 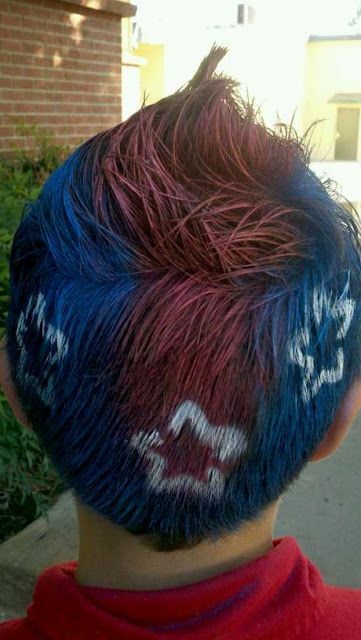 Hey even if it was last minute you should be proud of the masterpiece that you and your boys have created on their hair. 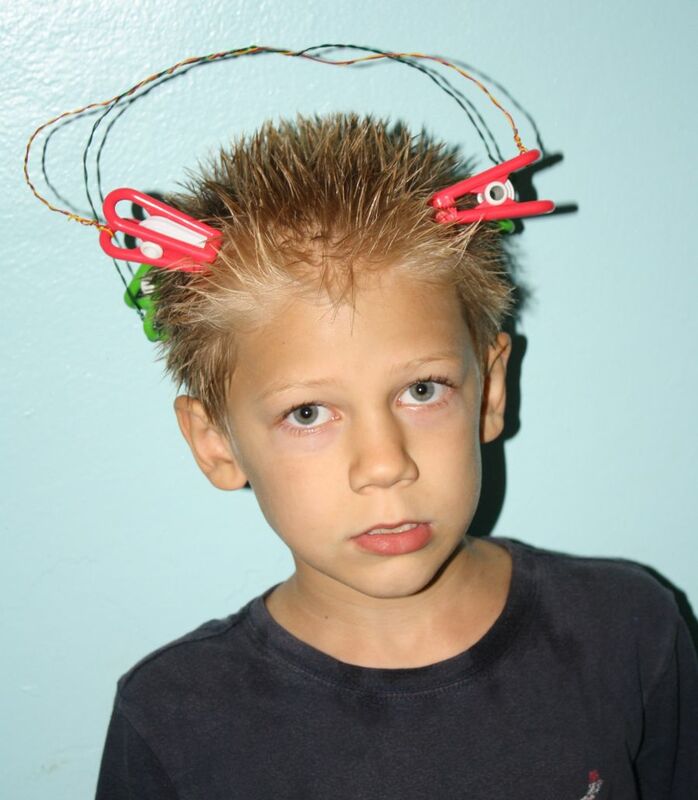 These crazy hair day styles will be memories you will laugh and love and cherish for years to come.